First Jefferson Market, and now this. David Camp has sent our camp an e-mail informing us that the end is near for Joe Jr., a greasy spoon in the Village favored by the likes of David Byrne, John Waters, and our own Adam Platt. (If we’re not mistaken, we once spied New York editor-in-chief Adam Moss holding court there, too.) Per Camp’s e-mail: “They have big handwritten signs in the window saying they've lost their lease after 5 yrs, are closing this Sunday. They are asking people to sign a petition to save Joe Jrs and to ‘spread the word,’ I guess in hopes of pressuring the landlord not to cut them loose.” It’ll be sad if those prime people-watching windows are papered over, but there may yet be hope. 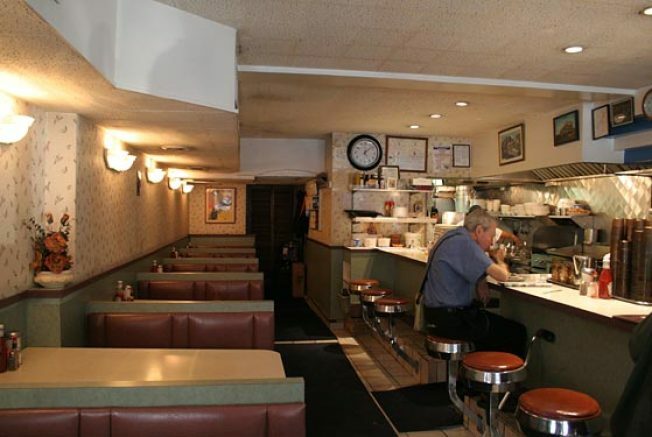 Joe Jr. went through a closing scare back in 1994; the Times then quoted designer and loyal patron Isaac Mizrahi: “It’s like everybody's dream diner, the perfect New York diner. Sort of tatty around the edges, very tatty around the edges. Excellent tuna-fish sandwiches on rye toast. Excellent scrambled eggs. Amazing immediate delivery. And it’s such a fixture in the neighborhood.” Of course, the Sunday closing date sounds pretty definite, but here’s hoping against hope they dodge the bullet again.